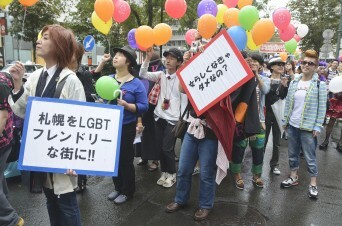 A Japanese district has come out in support of LGBT rights. With over 170,000 residents, the government ward Yodogawa in Osaka has become the first Japanese district to pass a resolution on LGBT issues. “In order to make this city a livable place for a diversity of people, Yodogawa Ward respects the human rights of LGBT people,” reads the resolution. Posted September 12th, 2013 & filed under News.